Our purpose is to enhance your quality of life through a thoughtfully designed healing environment, state-of-the-art techniques and a loving and compassionate staff. We want you to feel better about yourself when you walk out the door than when you walked in! We love to partner with people who take responsibility for their wellness and are interested in a preventative approach to health issues. You’ll feel calm and relaxed the moment you walk through our door. We’ve been in practice since 1982, and we like to think of our office as very Zen. Zen is quite a buzzword, and there are many interpretations of its true meaning. We think of Zen as a remarkable wisdom tradition. It’s a path to fully awaken to your original nature, which is present right here and right now. Another way of saying this is that we’re always well within. This is how we feel about the human body and its state of health and wellness. The wellness is always present in its purest form, until interferences begin to block the wellness flow. These interferences can be anything from misaligned spinal vertebrae that hamper your nervous system, to a terrible diet that blocks cell nutrition. Remove the interferences, through getting adjustments and paying attention to diet, and watch them melt away, revealing your true state of wellness once again. Feng Shui is another misunderstood expression. This is an ancient art and science developed over 3000 years ago in China. It’s a complex body of knowledge that reveals how to balance the energies of any given space to assure health and good fortune for the people who inhabit it. Click here to download Feng Shui affirmations. We decided to hire a feng shui professional to design our office, so that those who enter feel calm and relaxed, open to natural healing energies through chiropractic adjusting, massage or any wellness techniques offered. The healing atmosphere is created using certain materials and symbols, and the thoughtful positioning of furniture, artwork and plants. We’ve created this space for you to feel good in — we hope you enjoy it! We treat families of all shapes and sizes, all ages and in all occupations. We only offer the very best in advanced chiropractic care and want you to feel at home whenever you’re here visiting with us. Because we’ve been the team doctors for the University of Miami Hurricanes for so many years, we’ve also had the privilege of working with more than 1800 student athletes involved in sports ranging from football, baseball, golf and swimming to tennis, rowing, basketball and volleyball. 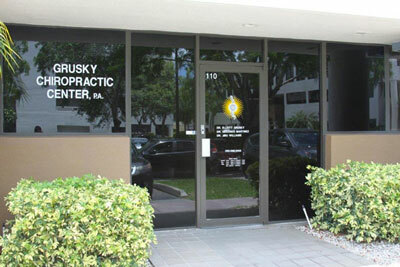 Our multidisciplinary approach will help to ensure your optimal outcome! Contact us today for an appointment!